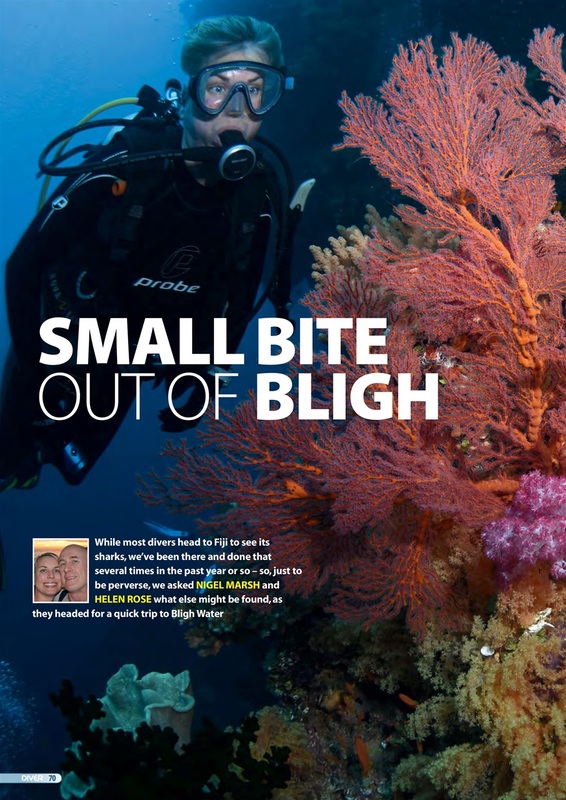 SOUTHERN EGYPT – Exploring Egypt’s inshore reefs from two bases. 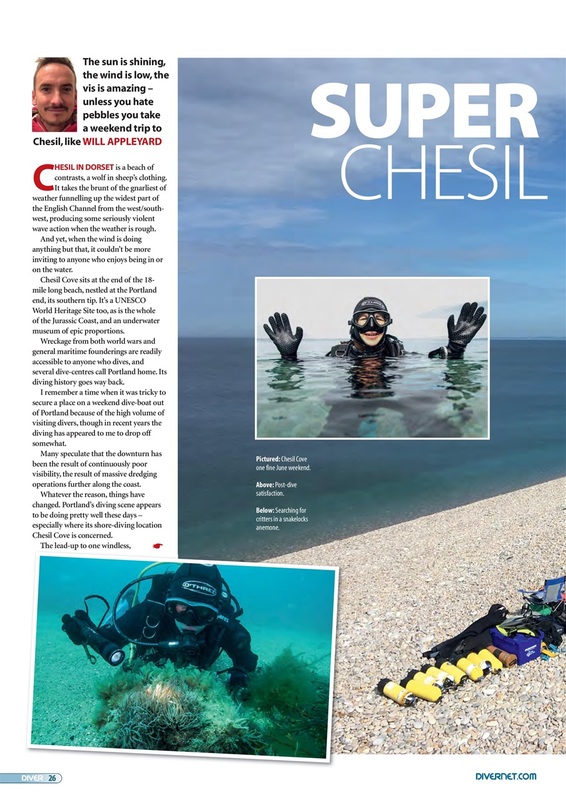 CHESIL COVE – Super Saturday when the weather gods smile. 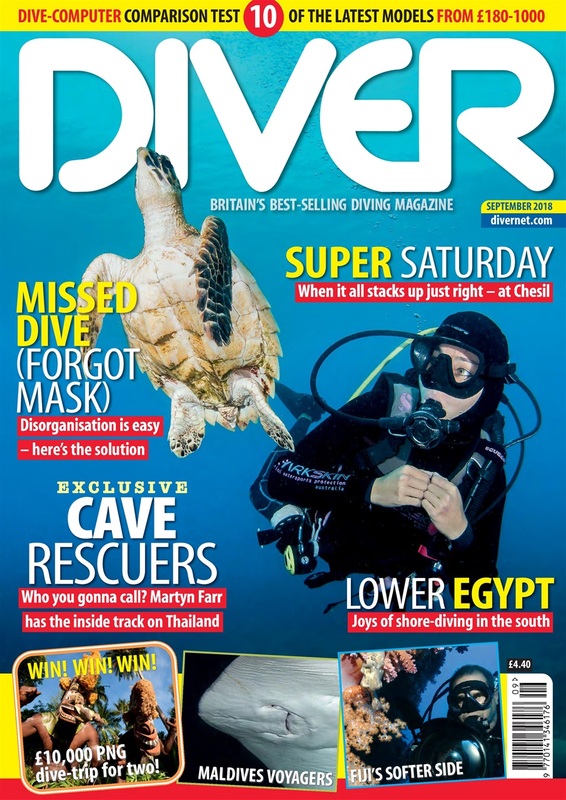 DIVE 2018 – Lining up for the NEC Dive Show. 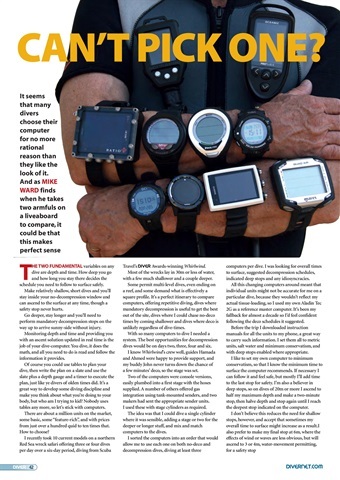 COMPUTER GROUP TEST – We try 10 dive-computers for you. 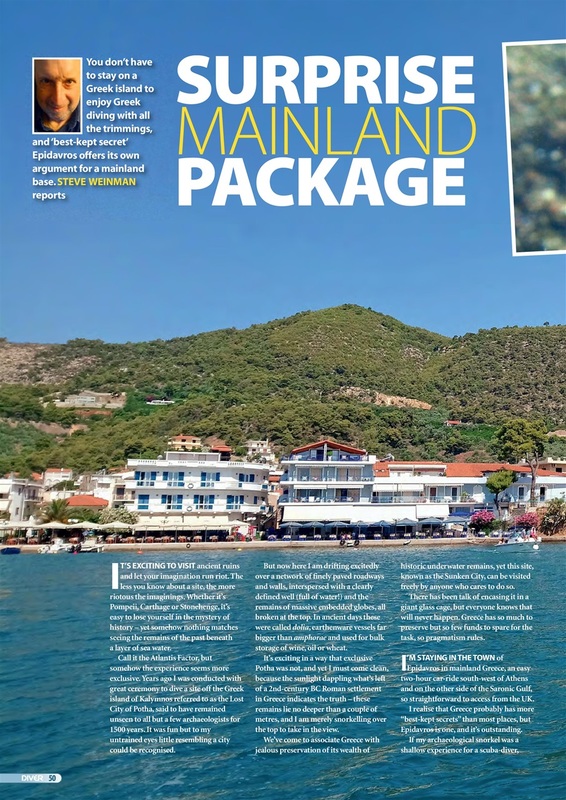 MAINLAND GREECE – From a sunken city to cave seals, Epidavros rocks. 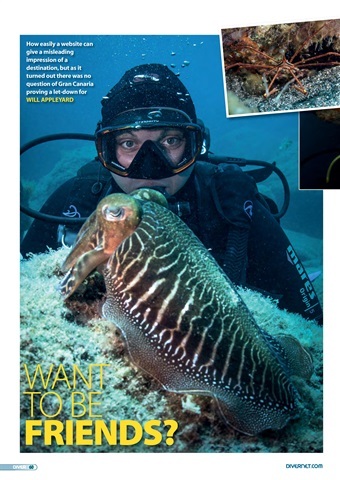 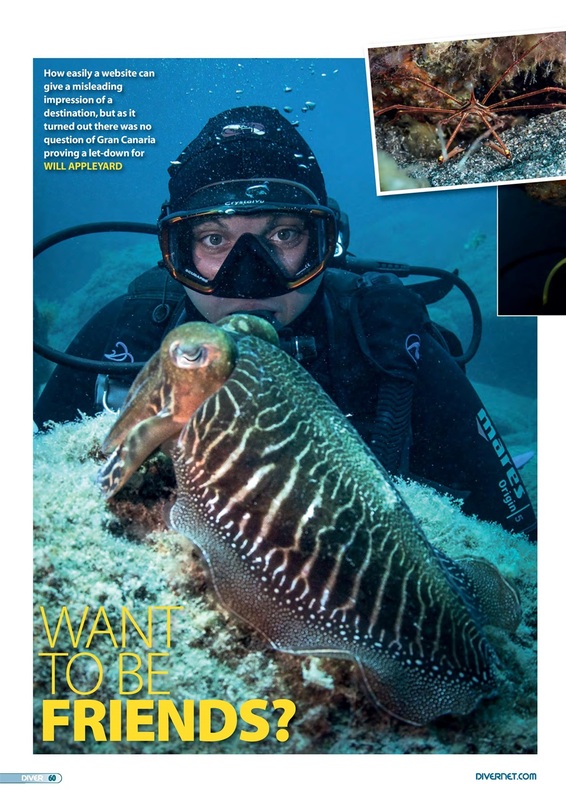 GRAN CANARIA – Meeting cuttlefish and more. 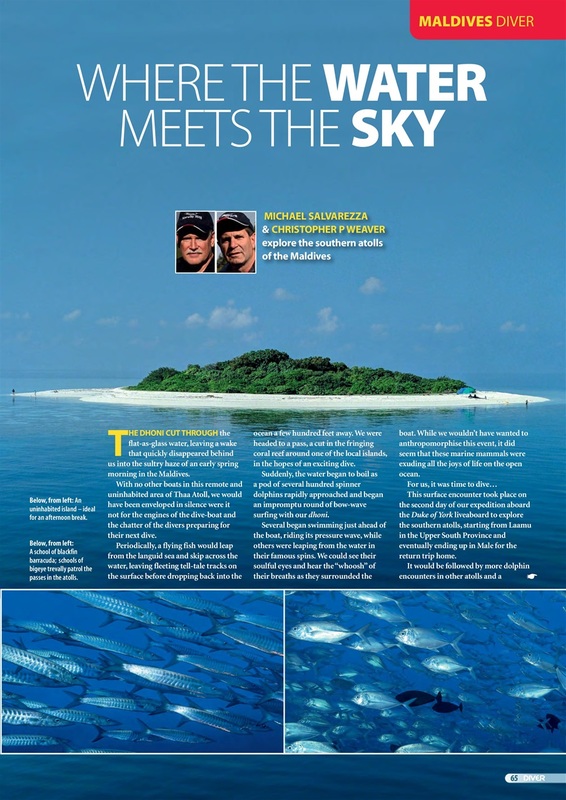 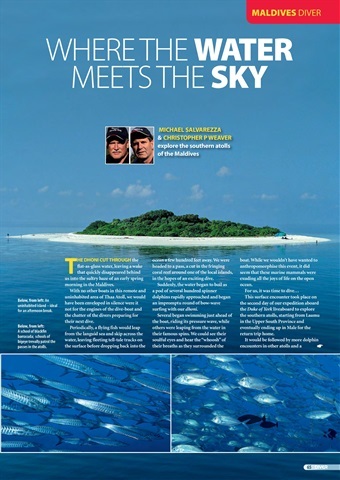 SOUTHERN MALDIVES – Where the water meets the sky. 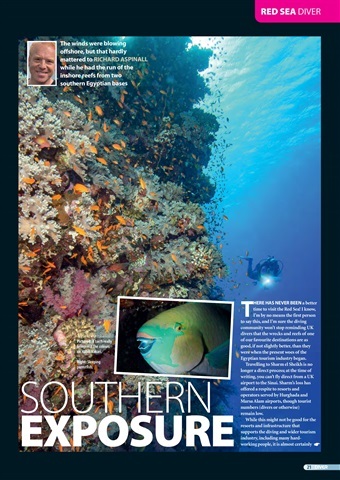 FIJI – There’s more to Fiji than shark extravaganzas.